The weather has been extremely gloomy lately meaning that taking photos is increasingly difficult, so I'm currently jumping at the slightest glimmer of sunshine to take photos. In the meantime, gloomy days do call for sewing and I've been enjoying doing just that! Due to the lack of photo-taking opportunities I actually made this skirt quite a while ago and have only just come round to writing about it. I do find that with the occasional project I fall at the last hurdle: a hem isn't finished or the sleeves aren't altered. The garment then sits there for a while before that one task is completed and I then wonder why it took me so long to do in the first place! In this particular case it was the button (the button!) that I didn't get round to hammering in for a couple of months after completing everything else. The actual task took minutes and characteristically I can't quite believe that it took me so long to do it! Now that the skirt is completely finished though I love it. I really like wearing skirts and tights in the winter and I love the current trend for corduroy. Previously, I've only sewn with needlecord which is a much finer corduroy but I've been eager to make something out of a thicker corduroy for a while. I bought this particular fabric at the Knitting and Stitching show in October and I love the colour of it so much. It's a forest green (not dissimilar to the colour of my Rosa shirt) but the thing I love about this fabric is how thick the cord is. 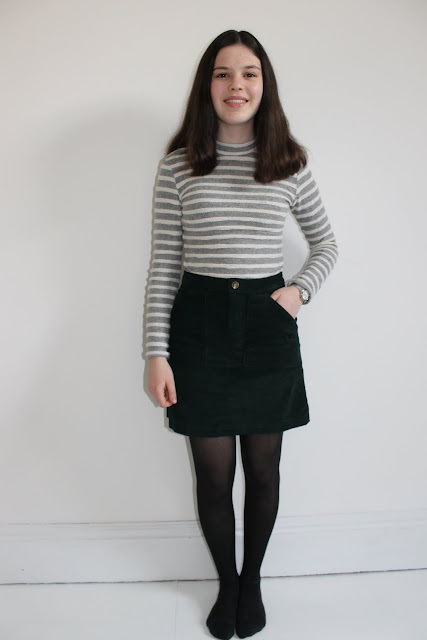 Chunky corduroy is perfect for mini-skirts in my opinion and I knew as soon as I bought it that it was destined to become just that. 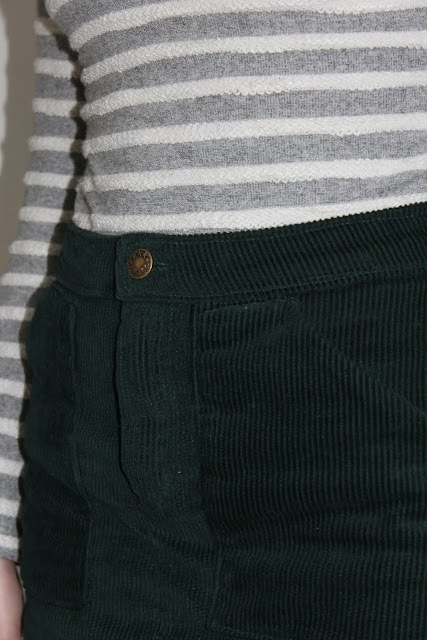 I've seen quite a lot of skirts made from chunky corduroy on the high street recently (here, here) and one of the details that I really like are trapezium shaped pockets. For the base of my pattern I used the Grainline Studio Moss skirt. I wore the version that I made in the summer so much and I know that the alterations I made to make it high-waisted work well for me. Rather than cutting pockets I cut the front pieces to mimic those of the back and instead added my own pockets on top. I actually used the Tilly and the Buttons Mila add-on pockets which are a free download for the pocket shape. Although the pattern piece isn't quite right as it's specifically designed for those dungarees it was much easier to draft my own shape with a pre-existing template. I'm really happy with the final look of the pockets, the next thing I'd like to try is a skirt out of denim with the same pockets. I'm really happy to be able to add this skirt to my wardrobe. I quite like the contrast of the brass button and the green needlecord and I'm considering adding rivets to the pocket edges too. I love both the colour and the style of this skirt, I'm so pleased I finally added the button! I too am a fan of a cord skirt and tights - will it ever go out of fashion? I love your skirt and your hoodie from the last post. 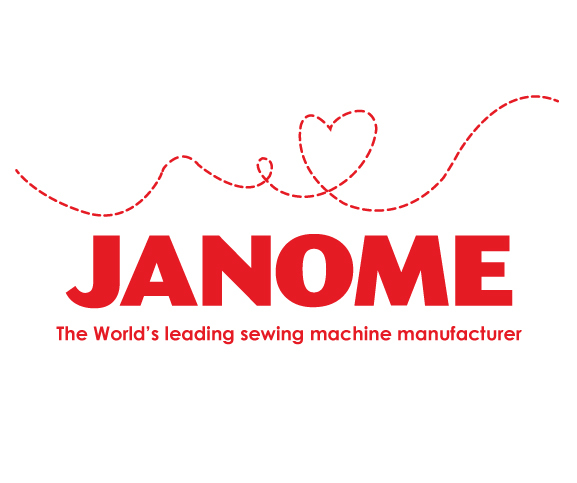 Winter certainly does make for loads of sewing time. I love this! So glad you got that button on, it looks wonderful! The details are pretty. What a great addition to your wardrobe, it will go with so many garments. Well done. I would love to have a cord skirt, never had one before! Your skirt looks fabulous, another great outfit!